﻿ Radio Hobart plays the best music from today and yesterday. Maximum Music, Minimum Talk - Just great songs in a perfect mix. 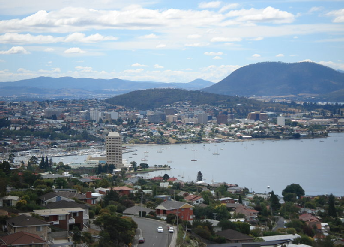 Hobart is the state capital and most populous city of the Australian island state of Tasmania, founded in 1804 as a penal colony. 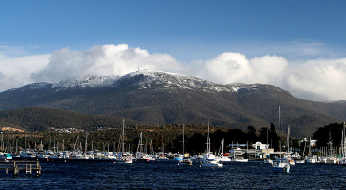 Hobart is a busy seaport, notably serving as the home port for the Antarctic activities of Australia and France. The port loads around 2,000 tonnes of Antarctic cargo a year for the Australian research vessel Aurora Australis. 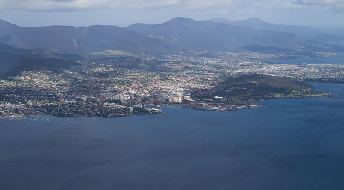 Hobart is home to Australia's oldest theatre, the Theatre Royal, as well as the Playhouse theatre, the Backspace theatre and many smaller stage theatres. It also has three Village Cinema complexes, one each in Hobart CBD, Glenorchy and Rosny, with the possibility of a fourth being developed in Kingston. The State Cinema in North Hobart specialises in arthouse and foreign films. The city has also long been home to a thriving classical, jazz, folk, punk, hip-hop, electro, metal and rock music scene. Cricket is the most popular game of the city. The Tasmanian Tigers cricket team plays its home games at the Bellerive Oval on the Eastern Shore. A new team, Hobart Hurricanes represent the city in the newly formed Big Bash League. Bellerive Oval has been the breeding ground of some world class cricket players including the former Australia captain Ricky Ponting. 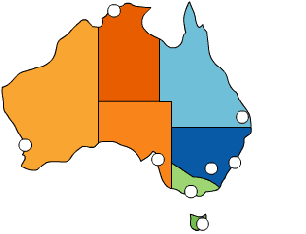 Despite Australian rules football's huge popularity in the state of Tasmania, the state does not have a team in the Australian Football League.